Impressive Victorian Brick Single Family Townhouse! Circa 1875! This Stately residence offers a wonderful and flexible floor plan for any Lifestyle! Formal Dining room for warm intimate dinners parties! Huge Eat in Gourmet Kitchen with Exposed Brick wall, striking color & artisan influenced designer back splash! Direct access to an Enormous Sun-drenched English brick courtyard! A True extension of your living space! Striking Formal Livingroom for memorable gatherings with Family & Friends! Windows are Everywhere in this Exceptional Home! 3 Bedrooms, 1.5 Full Baths! Period Clawfoot tub! Custom builtin book shelves! East & West Sun! Gleaming Pumpkin Pine & Maple Floors! 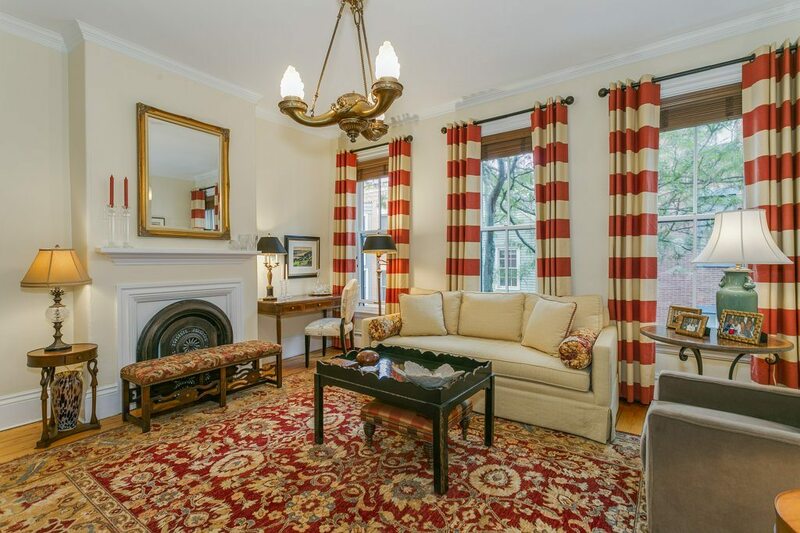 Outstanding Decorator & restored period Light Fixtures along with Custom Window Treatments will stay with the home! So many amenities and upgrades throughout including major capital improvements such as repointing of the entire property! One of the Most Sensational Single Families in the Entire City. Click here for More Pictures and Floor Plans!